Lucasfilm and Disney released a final trailer for season two of Star Wars Rebels yesterday at New York Comic Con, and as has now become standard with the show, it left me with major goosebumps. The early portion of the trailer focuses on Ezra’s search for his parents and the importance of his newfound family, while the second half of the trailer emphasizes the role returning characters Ahsoka and Rex will play in season two. I’m undoubtedly looking forward to the inevitable showdown between Ahsoka and Vader, and Kanan’s discomfort at working with clones and being part of a larger group will surely be compelling as well. But most of all I’m excited about spending more time with the core crew of the Ghost and continuing to see their individual stories unfold alongside their deepening family dynamic. To be honest, at times I’ve been slightly concerned that with twice as many episodes, it may be difficult for the producers of Rebels to maintain the show’s focus on the Ghost crew and the simple but incredibly powerful story of that unit as a makeshift family that it so tightly told in season one. But the opening moments of this trailer reassured me that the themes and characters that were so moving and exciting in season one are still a major focus here even if a host of new characters and membership in a larger rebellion will also be emphasized this time around. So far Rebels has been an incredible surprise in terms of its emotional impact on me and its importance to the larger Star Wars story. It’s characters have quickly grown to be some of my favorite in the Star Wars galaxy and I’m so invested in seeing their core story furthered this season most of all. Today’s trailer indicates season two will deliver in those terms while also bringing major showdowns, epic action, and the joyful tone it so successfully emulated from A New Hope as well. I can’t wait. 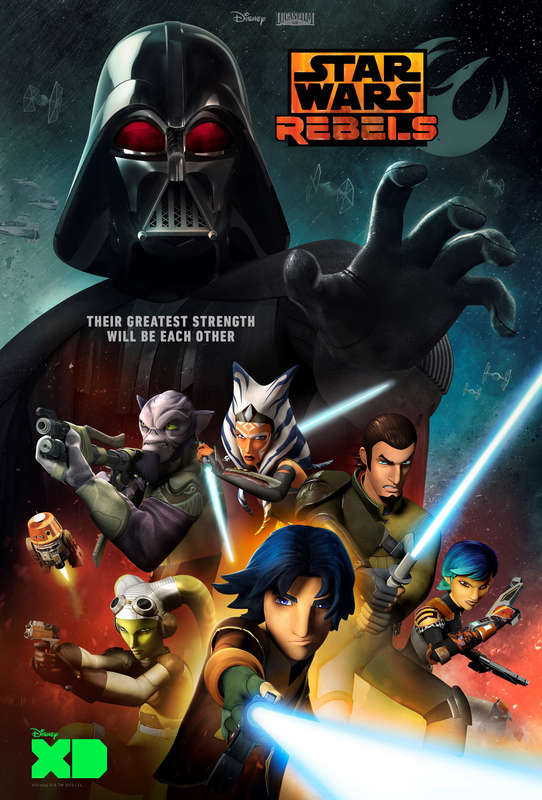 Categories: Rebels | Tags: New York Comic Con, Rebels, Trailers | Permalink.